I was referred to Mark and Jodi from an on-line hearing aid company. Mark went out of his way to make sure that my Oticon hearing aids were perfectly tuned to me. It was clear to me that his expertise and professionalism were worth a few extra dollars added to my purchase price just to get his support and backup. I highly recommend The Hearing Aid Doctor. Start with him, by the way, on-line retailers are fine, but finding an excellent local professional is the way to go. Mark and Jodi have provided me with excellent care and service for many years. They sincerely want to help their clientele – and it shows. My new Oticon hearing aids were beyond my hope or expectations. Can’t imagine anything better than these! 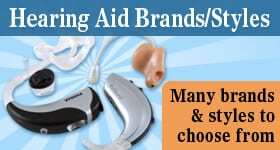 In all the years I have used hearing aids, I have had experience with several different providers. 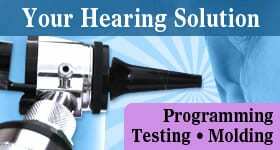 What I found at The Hearing Aid Doctor is exceptional quality in matching hearing needs with the right equipment as well as fitting, education and service – all vitally important to a successful use of hearing devices. Numerous providers are all too happy to sell you their product, but fall short in time, skill and expertise to support you in dealing with your hearing loss, which for many of us is a far more complex process than simple amplification. Because of my experience at The Hearing Aid Doctor, I’ve referred a number of friends and family members to their care with absolute confidence that they too will get superb care at a reasonable cost. I had gone to The Hearing Aid Doctor for service on my first pair of hearing aids. On that visit, I realized they were very qualified, honest and personable. Several years ago, I purchased a new set of hearing aids that The Hearing Aid Doctor had recommended and have been very pleased with their effectiveness. Mark and Jodi are super people to work with. They are top notch when it comes to being tested and then fitted with whatever style aid you want. I have been working with them for 7 years and enjoy working with them. They will do their best to get the best product at the lowest price for you. 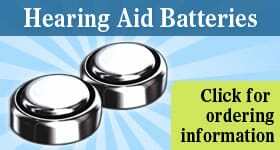 I have had adjustments to my hearing aids and there is never a charge for this service. I began to visit Mark Rother, The Hearing Aid Doctor, in Northfield several years ago while I needed help and repair with my previous hearing aids purchased in another state. These aids had served me well and Mark had always been to gracious to help me with them. Finally after 10 years of wear, it was time to purchase a new pair. Mark suggested a premium Oticon model. At first, I was somewhat reluctant due to the cost, but after wearing the trial version for a week or so, realized how much better the were than my previous ones. So, I bought them and have been extremely pleased with their quality. I highly recommend consulting with Mark Rother and trying a pair of Oticons. It has been several years since having my hearing aids provided by The Hearing Aid Doctor and they have always provided excellent follow-up care. The open ear concept sure made a difference in my life! Background noise no longer exists. I can once again go to stage plays and laugh with the rest when it comes to the punch line. I am no longer handicapped! When it was suggested that I would benefit from hearing aids earlier this year, my wife and I spoke to several hearing aid dealers about their process and products. Based on these conversations, we decided to visit Mark Rother at The Hearing Aid Doctor to determine how we should proceed. Mark was an excellent choice as he first wanted to know my goals for improved hearing. Once I outlined what I hoped to accomplish, with his knowledge of the various manufacturers and their products, Mark was able to recommend a manufacturer, Oticon, and explained why their products would be an excellent fit for my situation. He provided a pair of Oticons mid-range hearing aids (Oticon Nera 2) for me to test. I was frankly astonished how much these hearing aids opened up my world, bringing back sound I’d not heard in years. We then returned and switched to the Alta 2 hearing aids, which I tested for an extended period. Good as the Nera’s were, the Alta’s absolutely amazed me with their clarity and amazing sound in a variety of environments from noisy restaurants to theatre venues and listening to music. I continued to use the hearing aids while awaiting the new release from Oticon, the Opn. Once these were available, I switched from the Altas to the Opn, expecting to test them for a week. In actuality, after a day of use in different environments, I realized these new hearing aids were by far the best I’d tried. Their performance was so outstanding that after one day, I contacted Mark and met him to purchase a set of Opn units. I’m extremely pleased with how comfortable all the Oticon products have been. I put them in my ears first thing in the morning and instantly forget they’re there until I remove them when I go to bed. They disappear and just WORK. The process of testing and trying different units and working with Mark to find what works best for me was absolutely painless. My wife is thrilled, as am I, with my ability to hear clearly, comprehend sounds, and spatially orient sound sources. I’ve been very happy with these hearing aids and am extremely pleased with Mark and the way he handled our situation. I am frequently asked by friends and acquaintances about my experience and I never hesitate to recommend Mark.